n 1947, the major regional political party in Kashmir was National Conference. A few of its young and enthusiastic members, having received higher education in institutions outside the State, had come into contact with some people of progressive thought and outlook there. These young people played a prominent role in maintaining the democratic and secular direction of this major political Party  The National Conference; and, in the process they come to be identified with a small group within the Party, who had a progressive thinking. In December 1948, a section of this progressive group within the Party was ousted. They were accused of being audacious enough to criticise the Shaikh (Muhammad Abdullah) for behaving in an autocratic and dictatorial manner. After its ouster, this small group of youngmen started working separately and opened a bookshop at Miasma in Srinagar, where communist and other progressive literature was sold. Later on they shifted this shop to Gadha Singh Building in Lal Chowk (Srinagar) and its management was entrusted to one, H.N. Durani. This small group formed the first nucleous of the State Communist unit. The unit organized peasants under “Gris Gand” (Peasant Unity) and the youth under Students’ Federation and Democratic Youth League. But group merged with the National Conference again after the arrest and dismissal of the Shaikh in August, 1953. Following Shaikh Mohammad Abdullah’s arrest, National Conference was naturally weakened. In its struggle for resurgence, there appeared cracks in it. This culminated in the crisis of 1957 general elections. The prominent members of progressive group left the National Conference alongwith their followers. They formed into a new party called the ‘’Democratic National Conference ‘’. The new party adopted a plough with three bars on red background as its flag and started an official newspaper, “Jammu Sandesh”. The Democratic National Conference functioned smoothly as a party in opposition till 1960, when majority decided to merge with the parent organization- National Conference. A few of the members of the Democratic National Conference did not, however, reconcile themselves to this reunion and formed another new partly called the “Democratic Conference”, with Ram Piara Saraf as its General Secretary. The party aligned itself with the Communist Party of India. Subsequently Ram Piara Saraf became a member of the National Council of the CPI from the Jammu and Kashmir State. Krishen Dev Sethi and Ghulam Mohammed Malik became provincial secretaries from Jammu and Kashmir provinces respectively. A general meeting of the party was held at Samba in the middle of 1960 in which the party flag was changed from plough and three bars with red background to red flag with hammer and scythe, and a State Committee was formed. The weekly “Jammu Sandesh” was taken over by this party with Ram Piara as its printer, publisher and editor. The party could not make much headway in 1960-61. No doubt, in Jammu province it tried to penetrate into the government low-paid employees, labourers, peasants, teachers and refugees. In 1962, the party participated in general elections in Jammu province , but failed to win any seat. However, party boycotted the elections in Kashmir province for unknown reasons. In 1963-64, the party activities remained confined to peasants only, and its leaders and workers devoted themselves in reorganising “Kisan Sabha”, which had been formed earlier. The party could not make any appreciable impact because the jagirdari system had been abolished long back under the Big Landed Estates Abolition Act of 1950 in the State. Abdul Kabir Wani joined the party in June 1964, on the persuation of Ghulam Mohammed Malik and became a prominent functionary in the “Kashmir Kisan Sabha”. By the end of 1964, the Communist Party of India was split into two, and a separate all India party, Communist Party of India (Marxist), was formed. This development had its direct impact on the Democratic Conference. 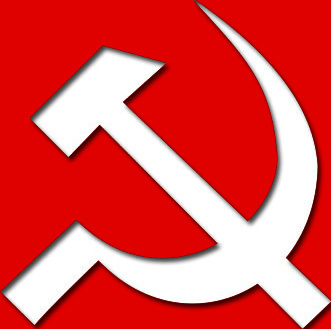 Ram Piara Saraf changed his allegiance to the newly formed party- Communist Party of India (Marxist) and his party also become affiliated to it. The Communist Party of India (Marxist) had become pro- Chinese and the Democratic Conference also harboured pro- Chinese sentiments. The State government was perturbed with the activities of Democratic Conference and arrested Ram Piara Saraf, Kishen Dev Sethi, Ghulam Mohammed Malik and Abdul Kabir Wani. However, they were released by the end of June 1966. It was during these days that CPI (R) came into existence in the State. 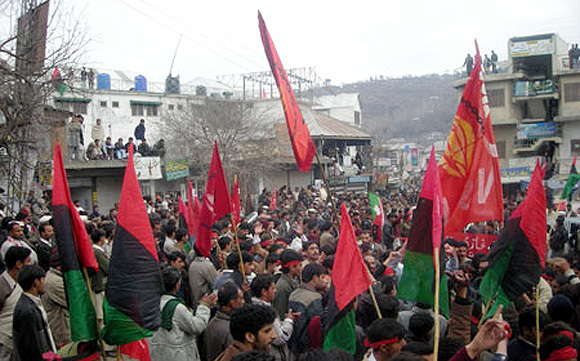 A sizeable numbers of workers left the Democratic Conference, particularly in Kashmir province and joined CPI (R). To establish this party here, Z.U. Ahmad also made frequent visits to the State. This dealt a serve blow to the Democratic Conference. However, efforts were made to rejuvinate the party  Democratic Conference, and a meeting was held in Jammu in June- July, 1966. Harkishen Singh Surjit, a CPI (M) activist from Punjab, also participated in this meeting; and the decision was taken to change the composition of the party. Provincial Secretary’s post was abolished and instead District Committees were formed, holding them directly responsible to the State Central Committee. Ghulam Mohammed Malik, Abdul Kabir Wani and Ghulam Mohammad Lone were appointed the Secretaries of Srinagar, Anantnag and Baramulla districts respectively. Krishnan Dev Sethi, Mehta Bagwandas and Ved Paul Deep were elected the district secretaries in Jammu province. A State Central Committee was also formed with Ram Piara Saraf as its General Secretary. The other members elected for the Central Committee were: Krishnan Dev Sethi, Ghulam Mohammad Malik, Abdul Kabir Wani, Nahar Singh and Ved Paul Deep. In 1967, the Democratic Conference also participated in the Assembly Elections in accordance with the programme of the Communist Party of India (Marxist). The party contested five assembly seats in Kashmir and one parliamentary seat in Jammu. Its election manifesto was on the same lines as that of the CPI (M) in India. However, it could not get even a single seat. This failure dealt a severe below to the party , frustrating its leadership and making most of its workers and sympathisers inactive. Following the setback in the elections and the zero response of the masses, a meeting of the Central Committee was convened at Jammu in June- July, 1967, to review the party position. In this meeting decisions were taken to offer active support to the low-paid government employees in their struggle for pay revision and further to organize the peasantry on revolutionary basis. Formation of “Kisan Sabha” to facilitate an awakening was also decided. Subsequently “Kisan- organizations” were formed at different places in Kashmir province. Abdul Kabir Wani was made incharge of all peasant activities in the State. In the opinion of State Administration , it was an effort in political strategy and opportunism. The Democratic Conference leaders instigated the low- paid government employees and the government school teachers to go on a “Pen down” and “Chalk down” strike. The government acted firmly and arrested some prominent leaders. Ghulam Mohammad Malik and other were rounded up. Ram Piara Saraf and Krihen Dev Sethi went underground. But the agitation proved abortive and fizzled out. Ghulam Mohammad Malik and some others were released in early 1968. D. An armed revolution should be worked for and brought about to liquidate the existing set up in the country. Revolutionaries were to engage themselves directly in armed struggle. Whole-time workers were to propagate the ideas of Mao among the peasants and other working classes for organising an armed revolution; and, to enrol the sympathisers for the party. The sympathisers were to provide shelter and food to the revolutionaries and collect funds for the party. The revolutionaries were to be sent for guerilla training some where outside the State. On the completion of this training, they were to be supplied arms and ammunition for carrying out revolutionary activities in the State. But the differences developed between Krishen Dev Sethi and Ram Piara Saraf immediately after the Sikri meeting . krishen Dev Sethi is repoted to have suggested to keep the party activities in abeyance for the time being as the people were not yet ready for proper response. But Ram Piara Saraf did not agree with him. These differences, increased and subsequently led to allegations and counter allegations levelled against each other. As a result of these differences, the party got divided into two rival groups. One group acknowledged the leadership of Ram Piara Saraf and Abdul Kabir Wani. Krishen Dev Sethi and other seven members of the State Committee led the other group. Some secret meetings were held and tours undertaken in April-May, 1970. One meeting was also attended by Ghulam Mohammad Malik. Abdul Kabir Wani was reported to have taken a lot of interest in trying to patch up the differences between Sethi and Saraf, but could not succeed. Sethi even alleged that Ram Piara Saraf had misused his position as Party Chief, manoeuvred the “Jammu Sandesh” for his personal ends and had also misappropriated party funds. Finally the publication of “Jammu Sandesh” was stopped. 10.Introduce trade unionism among labour to wipe out exploitation by the government and capitalists. It was also decided by the group members to continue their struggle against the imperialist and feudalist powers. The party also decided not to enter into any electoral alliance with any political party in general elections (1972). It even accused the Soviet leadership as defective and in collusion with the American foreign policy. The policies of China were appreciated as being in live with the true communist doctrines. It was in July 1970 that the Party had started publishing a monthly magazine, “Nukta Nazar”. Ram Piara Saraf continued his underground activities and formed a separate group with Daya Krishen Khajoriya and Ram Prakash Saraf as his immediate lieutenants. This group received patronage and recognition from Communist Party of India (Marxist-L). But after the arrest and detention of Saraf, this group faded away. The publication of “Nukta Nazar” continued. It claimed that Democratic Conference is against the extremist policies of the Marxist-Leninist leadership and no ideology can flourish by murdering individuals. The struggle, according to the party programme, should be intensified and accelerated. Public meetings were held in Jammu by the members of Sethi group. The party posters advocated for the boycott of Assembly Elections as people had to get their problems solved through revolutionary struggle. The working class was also inspired by the party to struggle for its salvation and prosperity. 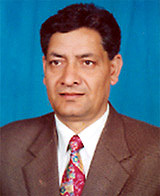 Harkishen Singh Surjit, a Communist Party of India (Marxist) activist from Punjab, visited Jammu in May 1971, to recorganize the party. During 1953-1975, Shaikh Abdullah labelled India as an expansionist and colonial power trying to subjugate Kashmir. He considered the accession of Kashmir with India as his greatest blunder and demanded the right of self-determination for the people of Kashmir, ignoring the Hindu-dominated Jammu and Buddhist-dominated Ladakh regions. He also advocated to settle the Kashmir issue by a plebiscite and unconditional withdrawal of Indian troops. These ideas of the Shaikh found their way direct to the hearts of people of Kashmir. The “Hate-India” virus infused by him also helped the communists to influence the disillusioned youth in the Valley. In Kashmir, Ghulam Mohammad Malik and Abdul Kabir Wani also convened the party meetings. They explained to the participants that the parties like Communist Party of India (Marxist-L) had discorded the parliamentary path, and its aim should be to organise the peasantry. They also discussed with their party workers the Kashmir issue and emphasised, as a matter of strategy, that accession to India was not final nor irrevocable. The party workers were asked to advocate the secessionist views to attract the sentimental pro-Pak youth. Exploitation of cordial Sino-Pak relations had good impact over pro-Pak elements and some youth joined hands with the Malik group. Malik group decided to work as an independent group in Kashmir. But Abdul Kabir Wani did not see eye to eye with Malik and maintained close ties with Jammu leaders. Malik was interested to liquidate the present system in the State. He strived hard to carry out the programme of the party and took a number of steps in that direction ranging from indoctrinating and organising the students and youth. He held a numbers of meetings and asked the participants to carry out the revised party programme. He even encouraged his party workers to contact their close extremist acquaintances in other political parties. Munshi Mohammad Ishaq, an extremist in the Plebiscite Front, fell to the approach of Malik and promised his support. Malik then formed a students’ organization, Progressive Students’ and Youth Front. Maharaj Krishen Dass was put as in charge of this new organisation. Malik also estabilised his links with pro-Pak elements and disillusioned youth. Communist movement in Kashmir received a major set back by 1972, when most of its leaders were arrested. However, its influence continued in some areas. Terrorism gave a severe blow to the movement and it almost liquidated after 1990. Mohd Yusuf Targami, the State Secretary of CPI (M), who won the State Assembly elections twice with the silent support of Farooq Abdullah, is now the sole representative and identity of the movement in the Valley. In fact, the communists were aware that political atmosphere in Kashmir was different from the one prevailing in rest of India. They even raised the slogans of self-determination and plebiscite in the Valley only to attract the masses and disillusioned youth for activities, but could not consolidate their position and faded away. Thank you Satishji for this masterpiece article and your previous ones as well. An excellent piece....Was intereting to know that my husband's Uncle Ghulam Muhammed Malik was instrumental in forming the Progressive group...a precursor to the movement in Kashmir....Thank for such an enlightening write-up.